ROGER ROYSE is the founder and owner of the Royse Law Firm, a 27-lawyer firm with offices in San Francisco, Silicon Valley and the Silicon Beach. Roger specializes in helping build great companies and his background includes work with prominent San Francisco Bay and New York City law firms. Roger practices in the areas of corporate and securities law, domestic and international tax, mergers and acquisitions, and fund formation. Roger teaches BlockChain at Stanford Continuing Studies and is an adjunct professor at the Golden Gate University Law School Tax program (Corporate, International, Property Transactions) and is a frequent speaker, writer, radio guest, blogger and panelist for bar associations, CPA organizations, and business groups. 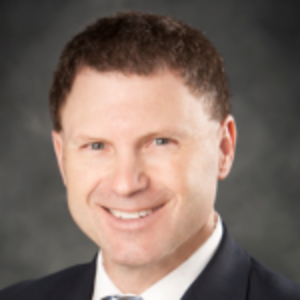 Roger is a Northern California Super Lawyer, is AV Peer-Rated by Martindale Hubbell, and has a “Superb” rating from Avvo. Roger has been interviewed and quoted in Enterpreneur.com, the Chicago Tribune, Associated Press, Tax Notes, Nikkei Asian Review, Wall Street Journal, the San Francisco Chronicle, Reuters, The Recorder, 7X7 and Fast Company. 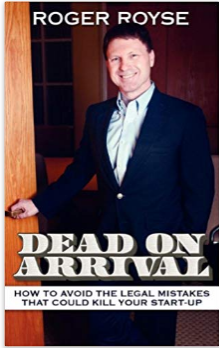 Roger is the author of Dead on Arrival: How to Avoid the Legal Mistakes That Could Kill Your Startup. The life of the law has not been logic, it been experience, as famously said by Justice Wendall Holmes. I have been practicing business and tax law for more than 30 years, representing startups to multi nationals in markets throughout the world, including Silicon Valley, Hollywood, New York City and the midwest. For the past 25 years I have focused on startups, especially international startups entering the US market from China, India, Europe and other areas. We are at the forefront of the legal issues around emerging and important technologies such as agri-tech, blockchain, AR/VR, artificial intelligence and deep learning. Blockchain and distributed ledger technology could be bigger than the internet, and we are at the cutting edge of what is happening on this important technology. Securities transactions are being digitized and supply chains are being made more efficient through a reduction in the cost of verification. The world is also undergoing a revolution in information technology around agriculture and food production as well as the biology of food production such as CRISPR. The legal business is also changing dramatically. Deep learning and AI can replace expensive players in conducting repetitive or routine legal tasks. The industry is also seeing a bundling of legal with other products, and we have our own proprietary system for reducing friction in the startup services business called the Total Startup Solution. New technologies and business models are eroding the high cost and inefficiency of large law firm models. I started the firm 13 years ago based on the concept that startup and closely held businesses should be able to have an integrated tax and legal solution. Too many times the corporate lawyers work at cross purposes with the shareholders’ individual counsel. We changed that by adding a wealth strategies group (are in a corporate law firm) to work closely with our corporate and tax lawyers to fashion optimal solutions at both the company level and the individual shareholder level. We intend to expand our worldwide footprint. We recently added an India and European desk so that we are one of the very few cross border law firms of our size in our markets. We are doubling down on technology and continuing to support the agri tech industry in ways that no other law firm can. Our Silicon Valley AgTech group encourages innovation in tech for food production throughout the world. The AgTech group grew our of our tech practice, but has become on its own the premier agtech group and conference in the world. We have created communities in more than 20 cities throughout the world and have launched or showcased on our stage the newest and most innovative food and ag companies in the world. The great recession of 2008-2009 saw a lot of my clients struggle and go out of business. Our Fir thrived during that time since our cost structure drove many companies away from BigLaw to our high quality low cost solutions but it was difficult to see our clients struggle. We operate at the intersection of value, expertise and service. Our clients can expect great value for what they pay. They can expect to have a very experienced lawyer manage their case. And they can expect us to be responsive even if they are a small company. We have the opportunity in Silicon Valley to help build the next bog thing in many different sectors and technologies. We also are in a unique position to re-create the way law is practiced and legal services are delivered. Many of our lawyers are attracted to our model because of the freedom that it offers them to define the careers and do the kind of law that they want to do. The successful professional is not only expert in their area of practice, but also understands their clients’ business and industries. I understand the client’s business, tax and legal goals and fashion solutions that meet those needs. My North Dakota upbringing. One learns early on the frozen great plains that luck is not a strategy, you have only you to rely on and, among all things, grit is the greatest determinate of survival and success. Leaving a comfortable life in North Dakota to work on Wall Street in the late 1980’s. It felt like jumping out of an airplane and hoping that I had a parachute. To quote Theodore Roosevelt (a fellow North Dakotan) “It is not the critic who counts; not the man who points out how the strong man stumbles, or where the doer of deeds could have done them better. The credit belongs to the man who is actually in the arena, whose face is marred by dust and sweat and blood; who strives valiantly; who errs, who comes short again and again, because there is no effort without error and shortcoming; but who does actually strive to do the deeds; who knows great enthusiasms, the great devotions; who spends himself in a worthy cause; who at the best knows in the end the triumph of high achievement, and who at the worst, if he fails, at least fails while daring greatly, so that his place shall never be with those cold and timid souls who neither know victory nor defeat.